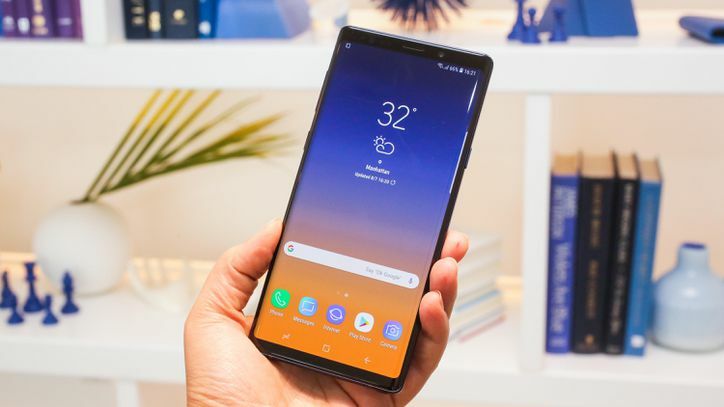 The Samsung Galaxy Note 9 device is finally out, and as it is a flagship device, the Galaxy Note 9 will be compared with other flagship devices to see if it out-performs or under-performs. According to benchmark results from Tom's Guide, the iPhone X outperformed the Galaxy Note 9. However, it is worth you know that the phone used in this test is the Galaxy Note 9 that runs on a Qualcomm Snapdragon 845 chipset (trimmed down version) and not the bigger one which is powered by Exynos 9810. The Galaxy Note 9 benchmark score for Multicore in GeekBench 4 was 8,876, while the iPhone X still stood at an impressive 10,357 points, and the OnePlus 6 (8GB RAM) got a score of 9.088. In 3DMark Slingshot Extreme 3.1, the Galaxy Note 9 got a score of 4,639, falling behind the iPhone X which scored 4,994. OnePlus, however, won this round with a score of 5,124 points. "Slingshot Extreme is the most demanding graphics test in 3DMark's mobile arsenal, and the Note 9 fared pretty well, but it's outperformed by both the iPhone X and OnePlus 6. "The Galaxy Note 9 scored 4,639, which is slightly better than the Galaxy S9+ (4,634) and ahead of the LG G7 (4,201). However, the OnePlus 6 with *GB of RAM smoke the Note 9 with a score of 5,124 and the iPhone X (4,994) also fared better." The Galaxy Note 9 got an impressive score in display testing. "The device AMOLED panel registered an impressive 224 percent of the sRGB color gamut, which is far better than the iPhone X's 128.6 percent." The Galaxy Note 9 does emits 604 nits brightness which is brighter than the 574 nits on the iPhone X. We know that benchmark results don't always reflect real-life performance, however, further test results will prove if the Galaxy Note 9 hasn't toppled the iPhone X or not.